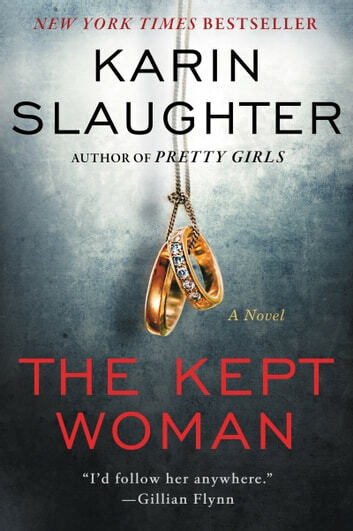 THE KEPT WOMAN, by Karin Slaughter, is the eighth book in her police procedural, Will Trent series and is filled with all kinds of twists and turns pivotal to good thrillers. In this intriguing story, Will and his Georgia Bureau of Investigation colleagues work with the Atlanta Police Department to solve the murder of a crooked ex-cop. The owner of the scene's abandoned building is a well-known sports figure who Will was unable to prove guilty in a recently closed case. The murder investigation turns personal when Will's estranged wife, Angie Polaski's, blood is found at the scene and their intertwined past and current troubles bubble to the surface, endangering his professional life and his relationship with medical examiner, Sara Linton. I have to admit I've never read this author's work before, but I won't miss her future books. I was immediately pulled into the story and had no trouble understanding the pertinent backstory between all the main characters. I also found the characters realistic, each with flaws and interesting backgrounds. Will is a physically and emotionally wounded man who has overcome his horrible upbringing with gentleness, routine and hard work to succeed in life. Angie is a crazy ex-cop, PI, and overall survivor from a childhood filled with all kinds of abuse. She flits in and out of Will's life creating havoc wherever she lands. She enjoys messing with Sara by breaking into her home and moving things about, sometimes leaving disturbing messages. Angie wants them to know that she'll always be around clinging to Will and directing anger towards Sara. Sara has weathered some difficult events of her own (though not as horrendous as Will and Angie) and suffers from self-doubts and confusion, both about herself and her relationship with Will. Even the less major characters are fleshed out with unique and complex lives. Though the story is told in several points of view, the majority is through the eyes of Will, Angie and Sara. Keeping up with the POV changes was relatively easy, particularly since the different POVs were easily distinguished with spacing or chapters breaking them up. I really enjoyed the author's use of humor to get the reader throughout the book. A scene in the dead ex-cop's house caused me to laugh out loud, and some of the characters' thoughts were very witty. But make no mistake, this is definitely a gritty police procedural and thriller, with all the gore and dirty primal survival techniques found in the lives of shady, abusive people. The only thing keeping me from giving the novel five stars is the ending. I hate loose ends and though one major storyline is fleshed out, another important one is left hanging. Probably to kick off the next work in the series? I would recommend THE KEPT WOMAN to anyone who likes police procedurals with a smattering of humor, stories of comeuppance, and mysteries with great twists and turns. NOTE : The rather frank discussions of physical and sexual abuse within the story may not be suitable for anyone younger than 9th or 10th grades. If You Like This Book, You May Like: Other books in the WILL TRENT SERIES by Karin Slaughter, TRACERS SERIES by Laura Griffin, MORGANS OF NASHVILLE and TEXAS RANGERS series by Mary Burton, FBI THRILLER BOOKS by Catherine Coulter, LUCY KINCAID NOVELS by Allison Brennan, DARKNESS by Karen Robards * Read my other reviews on the Blue Moon Mystery Saloon blog. ** An e-galley was provided by William Morrow/HarperCollins and Edelweiss for an honest review. 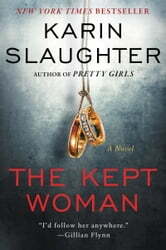 The Kept Woman is the eighth book in what (it appears to be) a very well-written crime/thriller/detective series. I may have to go back and see where it all began (not sure yet), but I'll definitely be watching for what's coming next. As we farther along in the series, there is some catching up to do with relationships and histories of the characters. The author does a pretty good job of keeping you just in the loop without going overboard for people who may have already read the first seven books. Will Trent has his cliche moments, but he manages to keep himself out of the category with some great personality which is showcased in his interactions with the other members of his team and the people in his life. This personality and history comes to be very important as he begins to investigate the latest murder. The pieces of this murder weave together in an amazingly intricate way, but manage to not get convoluted or overly complex to the reader (even one who is starting the series in the middle). I loved how all the pieces drifted from place to place until suddenly there was something that resembled a picture in front of you. But it didn't end there. The picture still needed to be developed and Will Trent didn't just jump to a solution. The best part of this was how each piece of the puzzle was finally discovered by several people. Without the team working together it would have never happened. Trent may be our leading character, but his team of supporting characters are excellent. A great read for someone looking for more than just another episode of CSI or Law and Order. This takes the whole crime thriller to another level and I loved it! Fantastic read. The characters want you to read to the end then you still want more. Karen Slaughter is one of the best authors of the century. Another total page turner by this author. I was a fan of Will and Angie etc., prior to this book, but I was unable to put this down until I finished it at 6:00am today. The characters, story line, how it all flows together, how you absolutely have to read the next page to find out what happens. The ending....I really hope she is sitting at her desk writing the next book right now!! It is amazing. She has reached number 1 on my 'must read' list. Keep up the great work! Is author alwaysstarts out with waay too much description. it is sometimes difficult to actually et into the book. But if you persist and keep reading the story line gets better you will be rewrded with a good read.